playing this weekend at the Outdoor Forest Theatre! The romantic comedy is surrounded around confused lovers, warring fairies and terrible actors. 7:30pm Thursday-Saturday and 2pm on Sunday. Mountain View and Santa Rita, Carmel-by-the-Sea. $7.50-$35. Celebrate one of Monterey County&apos;s favorite poets this weekend during the Robinson Jeffers Fall Festival. 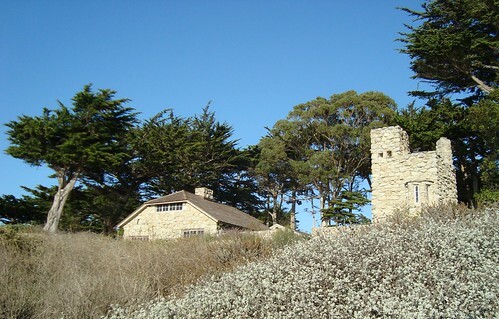 The festival is dedicated to Jeffers&apos; Tor House and Hawk Tower in Carmel with special activities including a sunset celebration, lectures and a poetry walk . Friday-Sunday. 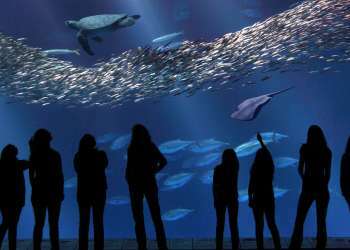 Various venues in Carmel-by-the-Sea. Join iconoclast, innovator, and bad boy of modernism Philip Glass as he curates an exciting festival of independent locally made films and eclectic chamber music at the Sunset Center on Friday and Saturday. Chamber music will include works from Schubert, Schumann, Muhly and Philip Glass. Friday and Saturday at 8pm, San Carlos Street at Ninth Avenue, Carmel-by-the-Sea. $50-$70. Thai Rivera is the headliner this weekend at Planet Gemini. His comedic performance is sure put your weekend on the right track! Stay for karaoke or the after party where local DJs mix up the latest hits. Friday and Saturday from 8pm-1:30am, 2110 Fremont Street, Monterey. $10. The ROTA Psychic Fair is back for its 29th year at the Monterey County Fair & Event Center. This event is not like any other psychic fair, the ROTA festival has over 35 of California&apos;s best psychics, healers and readers for the mind, body and spirit. Saturday and Sunday from 10am-6pm. 2004 Fairgrounds Road, Monterey. $10. 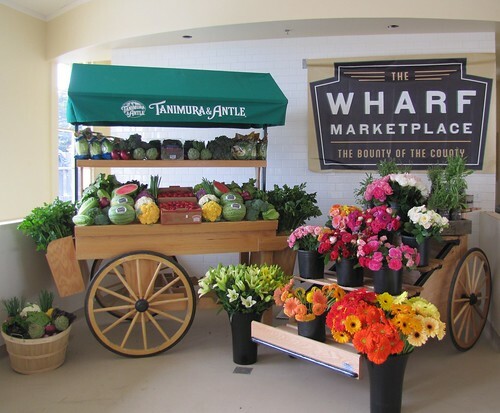 The Wharf Marketplace near Old Fisherman&apos;s Wharf is officially open for business and they are ready to celebrate! Don&apos;t miss their official Grand Opening this weekend with all sorts of free samples, wine tastings, raffles, activities and a cooking competition. Saturday and Sunday from 7am-7pm. 290 Figueroa Street, Monterey. Free event. Oldtown Salinas becomes "alive after five" today for the First Fridays Art Walk. Several shops, galleries and restaurants keep their doors open a bit later than usual for live music, refreshments, art and lots of fun! 5pm-8pm, Main Street, Salinas, Free event. Enjoy the sunset on Asilomar&apos;s deck this evening. Don&apos;t miss out on the live music, drink specials and tasty appetizers! 7pm-9pm. 800 Asilomar Avenue, Pacific Grove. Butterfly Town USA celebrates the return of the Monarchs with a welcoming Butterfly Parade and Bazaar in Pacific Grove. Kids of all ages dress up for the parade which starts at the Robert H. Down School on Pine Avenue heads down Fountain Avenue to Lighthouse Avenue, up 17th Street and concludes on Pine Avenue. A Butterfly Bazaar will follow at the school. 10:30am-1pm, 485 Pine Avenue, Pacific Grove. Free event. Get your walk or run on in the name of charity! The 4-6 mile route begins at Old Fisherman&apos;s Wharf at 8am followed by a breakfast at 10am and a sunset cruise later in the evening. All proceeds to benefit Dorothy&apos;s Place in Salinas, an establishment that provides meals on a daily basis for homeless and impoverished families and also serves as a women&apos;s shelter at night. 1 Old Fisherman&apos;s Wharf, Monterey. $10 for breakfast and $25 for the sunset cruise. 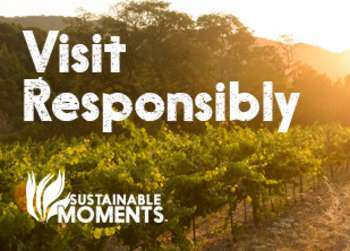 Enjoy the little things in life with a hike through fabulous ferns and redwoods with guides from the Monterey Peninsula Regional Parks District. Today they set out for a hike along Garzas Creek and across the Terrace Trail to scope out a variety of plant life. The 3.3 mile hike is expected to last 3 hours. Don&apos;t forget to wear comfortable hiking shoes and to bring water, lunch and snacks. 9am, East Garzas Trailhead, Carmel Valley. Free event. Visitors and locals are invited to Ciclovía Salinas where 1.6-miles of streets are open for biking, walking, jogging, skating, and the like. All people-powered, no motor vehicles! Do you bike or walk with children or unsteady elders not at an age to be sharing streets with cars? Ciclovía Salinas allows these and others, all ages and abilities, to feel right at home on the streets of Salinas. 10am-2pm. Alisal Street, between Salinas Street in Oldtown (downtown) and Sanborn Road in East Salinas. Free event. Award-winning pianist Vadym Kholodenko graces the stage at the Sunset Center in Carmel-by-the-Sea this afternoon. The captivating program includes works from Rachmaninov, Bach and Schubert. 3pm, San Carlos Street at Ninth Avenue, Carmel-by-the-Sea. $40-$55.